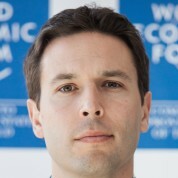 John Dutton is the Head of the Forum of Young Global leaders at the World Economic Forum. Prior to joining World Economic Forum, he was the Small Funds Initiative Coordinator for the United Nations Principles for Responsible Investment and has also spent several years as a French Teacher at the Trinity Pawling School. John has earned an MBA with a specialization in International Organizations from the University of Geneva and completed his undergraduate studies at Kenyon College with a BA in Economics. John also enjoys spending time with his wife Tania and son Timeo in the nearby Alps skiing and hiking and plays competitive Football and Basketball in local Geneva leagues.